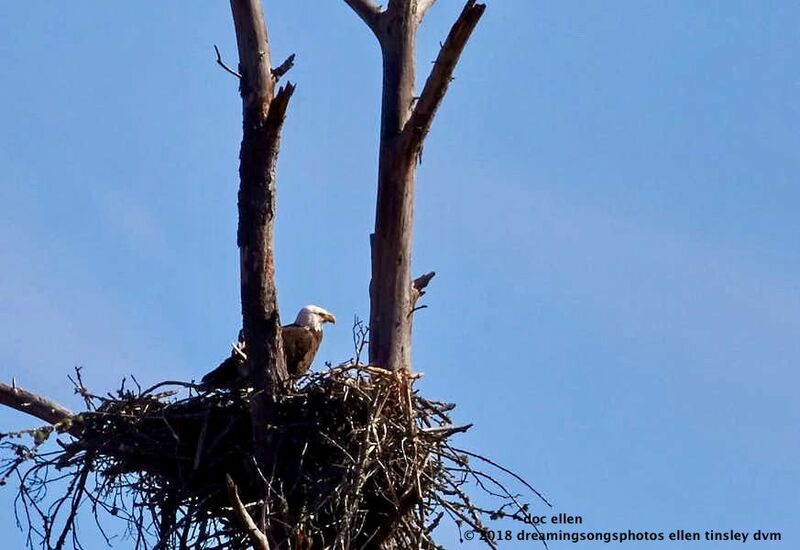 JL has a NEW bald eagle nest! The Army Corp of Engineers Rangers, working with the USGS and NCSU ornithologists found a new nest. I am calling it Ranger Nest. Slideshow: meet Mom and Dad Ranger and watch as Mom and Dad Ranger get a meal for the chick(s). Posted in birds, eagle families of Jordan Lake, Eagles of Jordan Lake, Jordan Lake, Jordan Lake State Park, photography, raptors, wild birds and tagged as American bald eagle, bald eagle, bald eagle flight, bald eagle parent, bald eagles of Jordan Lake, Dad Ranger, eagle, eagles of Jordan Lake, flight, Jordan Lake, Jordan Lake State Park, Mom Ranger, Ranger Nest, raptor.